In this post I talked about the 3.2″ 240×400 TFT and how it can be connected to a MEGA or Due. Since then I realised that I might have made things a bit more difficult than they need to be, so I decided to give it another go, this time making a (relatively) foolproof guide. So here goes. 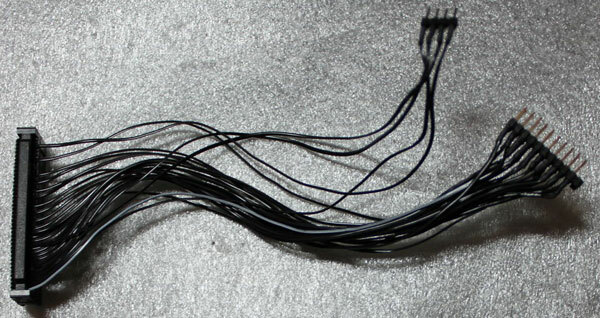 – An old 40 pin IDE cable. 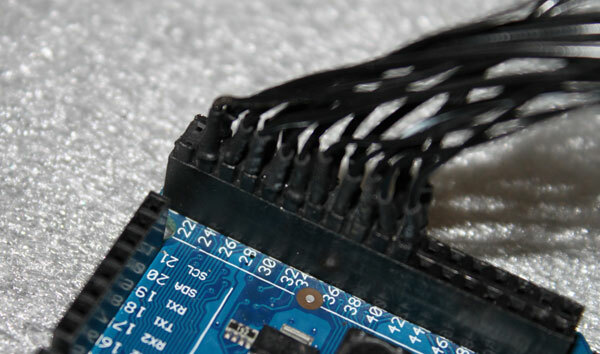 If you can’t get your hands on a ready-made IDE cable, you will need to find some 40 pin ribbon cable and a 40 pin connector (you can find it as “IDC40 IDE FEMALE CONNECTOR”) so you can roll your own. You will also need a small vise to press the connector. 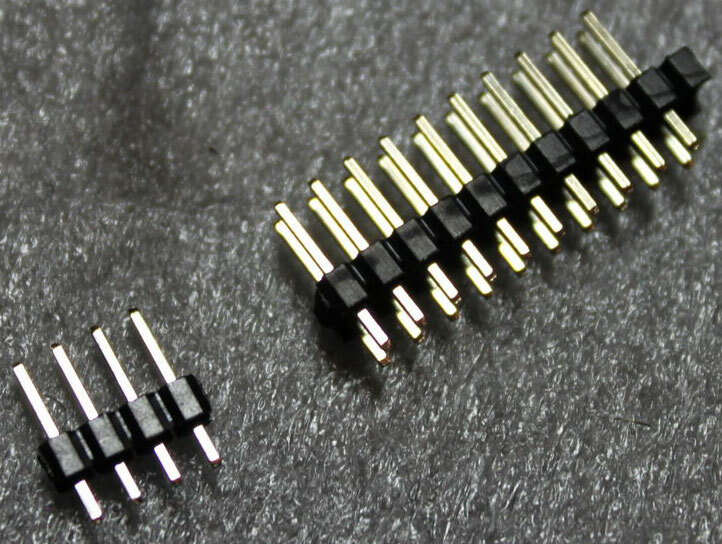 – A 2×13 (or larger) pin header. 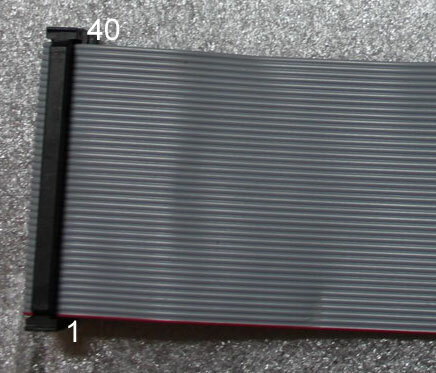 – A 1×4 (or larger) pin header. – A soldering iron, etc. We will be connecting only the wires necessary for operating the TFT as a display, so no SD card reader or touchscreen. You should keep that in mind. Also, this cable only works with the Due, since it uses 3.3V logic. In order for it to work with the MEGA, 10K resistors should be connected in series with all the signal cables (except of course for the Vcc, LED-A and GND lines). You start by cutting your IDE cable to the necessary length (or in case you’re making your cable from scratch, using as much ribbon cable as you need). The connectors on most IDE cables have one of the pin holes blocked, so you should use a small drill to open it up. 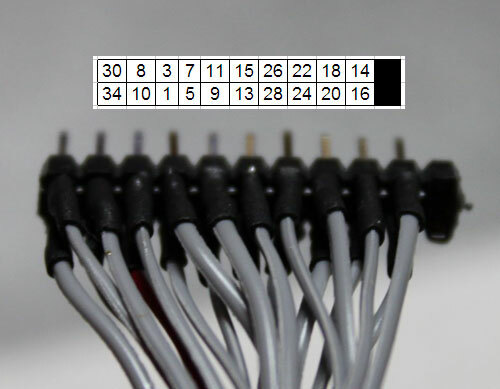 The numbers are obviously pin numbers that correspond to the 40-pin ribbon cable. It should be pretty easy to get them right. 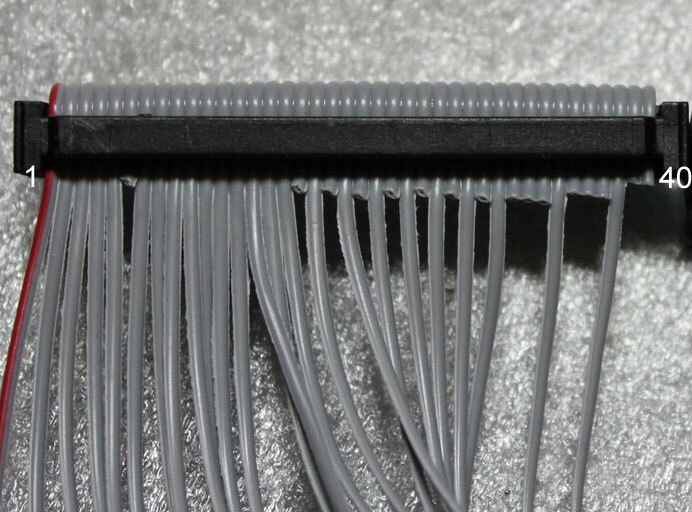 You should use heat-shrink tubing in order to insulate the connections, as well as improve the mechanical properties of the connections. And here is the finished cable, connected to the TFT as well as the Due. Note that it’s up to you to connect the 1×4 header whichever way you can. Notice that the ribbon cable is coming out of the IDC connector and going to the right, and not to the left. Should you connect it the wrong way, it is very likely that the TFT will be damaged, so be carefull! We have to do this since we are already powering the TFT with 3.3V. This way the local regulator will be bypassed. This entry was posted in Arduino and tagged Arduino, cable, header, TFT by Dimdim. Bookmark the permalink. Thank you armando for your kind words! I do have a 1.8″ TFT SPI but I have not yet tried it with a Due. Are you sure that your TFT is OK with the 3.3V logic of the Due? Following your guide I got it working in very little time! Thanks DimDim! I wish you a very happy new year! como defino os pinos de databus?? DE D0 – D15? na UTFT so define os pinos de controle… RS, RW, CS, REST. outra coisa, o pino RD fica sempre em alta no datasheet. do lcd…. isso tem algumacoisa a ver?? Hi DimDim. Am loving the IDE mod, can’t wait to get an old 40 pin job out of the cupboard for that. One question though do you know which connections are needed for the touch screen and/or SD card slot to work too? Touch is more important. And if so will it work with the existing library’s designed for this setup? I haven’t tried the touch screen or the SD card reader since I don’t need them in my design. However, I see no reason for them not to work. You should check out the images with the pinouts. I’ve mentioned this elsewhere – but a note of caution. BUT SainSmart **does not use either of the standard ‘conventions’** for pin numbering of IDC/BERG style connectors. 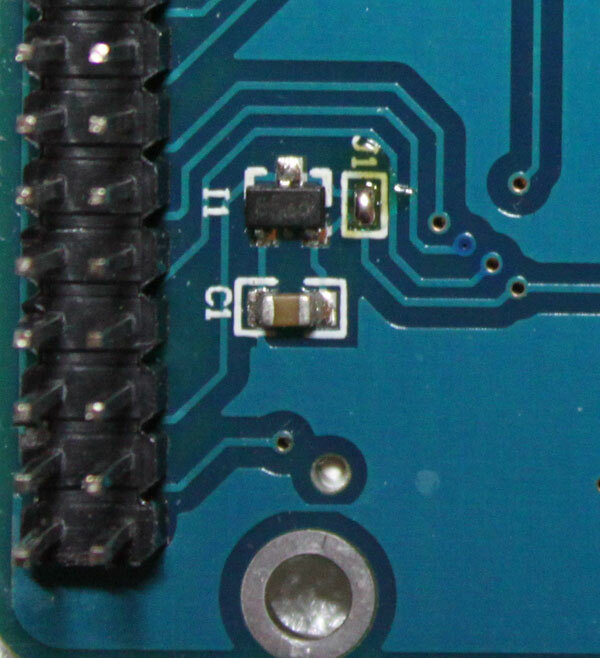 It looks like the PCB designer took a standard 20×2 footprint and used it on the rear of the board without flipping the pin designations. Just a catch – as every pair of two pins are alternated – which means you must be careful at the Arduino end of the cable !! I have TFT 7 inch LCD. Who can help me to make the connections to Arduino Mega 2560? Who has the libraries for it? You will have to give us a lot more info on the display if we are going to have a look..
is there a way to disable the backlight? Setting to LOW same pin? lcdOff() dont work! The TFT’s backlight is powered through a certain pin. 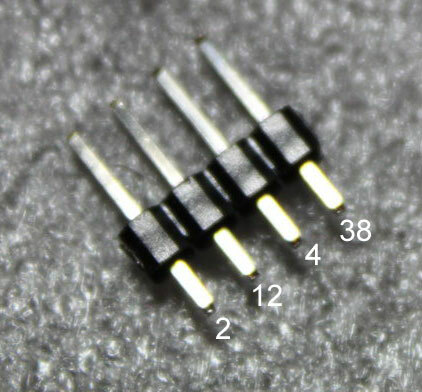 In most TFTs that pin is connected directly to the LEDs’ anode. 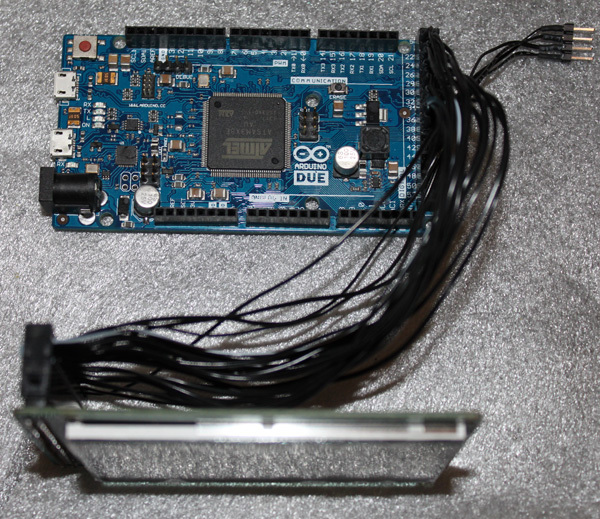 So you can not control it by using an I/O pin, since the current that needs to be supplied is more than what the Arduino’s pin is capable of providing. The solution is to use a transistor or mosfet to control the backlight. You can see how I have done just that in my Isolator Shield: http://www.dimdim.gr/arduino/universal-signal-isolator-shield-for-the-arduino-due/ Just look at the schematic (Eagle file).